and the marathon is tomorrow……. just go do your best, you’ll be fine. What would you say? But I haven’t run before? I can’t do that, I haven’t prepared for it? I have no idea what to expect? 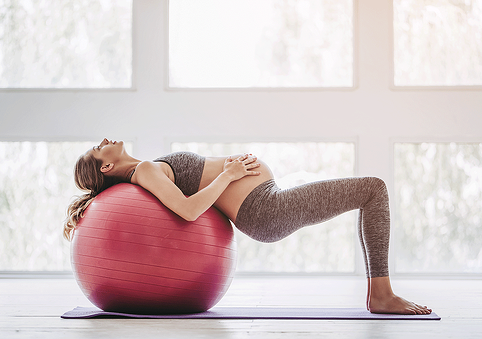 Labour and child birth is often likened to running a marathon – sometimes a little less sweaty but with infinitely more bodily fluids involved! It will probably last quite a few hours, use up all your resources and energy and you will hopefully feel euphoric and relieved once it’s over! However, there are not many people (Jade Goody aside bless her), that would rock up to run the London Marathon with little preparation and even less training! Now we are not saying that everyone must go to parentcraft classes - Antenatal education is not for everyone. Some people are happy to choose to just go along with events as they happen. Yet, when you are having a baby for the first time, there is no blue print and however much you may want a low risk, low intervention birth, sometimes circumstances can dictate that you end up in an obstetric unit with doctors making decisions – hopefully with you, as to the labour and birth of your baby. As midwives we often hear that women feel as if they have failed if they do not have a ‘normal’ birth….. if you have never had a baby before, what is your normal? But, (and it’s a big one), with the best will in the World, if you write a birth plan – and even laminate it and colour code it, it does act as a failsafe. We suggest writing a birth plan and have a plan B, C and D! By learning and researching all your options to gain some knowledge of the whole birth process, when it comes to making decisions, it will give you the tools and knowledge to empower you and reduce any fear and anxiety. Joining a group that provides realistic, comprehensive and fun birth education – one that allows you to get involved and ask questions, shows you the equipment used sometimes when having a baby, one that tells you about all the types of pain relief available – (I mean, you’re not getting a medal at the end of this, take the pain relief if you want to), and the who, why and when it may be essential to go to theatre, you will feel more empowered and in control. It has to be more beneficial to have the information before you go into labour. Just as it before you make any big purchase or move house….. having a baby is a big, emotional and life changing event too! If you have been in labour for a number of hours, you are tired, emotional and in pain, your birth partner is emotional and seeing their loved one in pain, this is no situation to make any real informed decisions. Learning what is happening to your body in all stages of labour helps you stay calm, focused and in control. For example, the very early stages of labour are referred to as the latent phase of labour – when contractions stop and start and there’s little or no rhythm or consistency to them. Whilst uncomfortable and at times tiring, this very early stage of labour is necessary as it is bringing your cervix forward and shortening it in length. Understanding this empowers you in as much as you know why it is happening and that the early labour pains you are feeling are all not for nothing. So, should you find yourself in the maternity unit and they suggest you return home, you will feel strong enough to do so, confident that things were happening and your body is slowly going into a natural labour. Sometimes it is necessary to have an instrumental delivery or cesarean section. This is not a failure on your part IN ANY WAY!! It can happen for any number of reasons. Yet if you know this before you labour and deliver your baby, you will feel more in control and are more likely to ‘enjoy’ (not sure that is the right word, but you get the picture! ), a positive birth. I know from experience that hospital antenatal classes spend little or no time focusing on the early days at home. Once you’ve been through your labour and childbirth and you are sent home with a new baby and no manual you will feel emotional, tired and perhaps a little out of your depth. Learn why Day 3 is going to be a weepy day, that your milk may come in and you’ll cry because your partner left the used tea-bags on the worktop and not in the bin! Gathering as much information as possible before you have your baby can make such a difference to how you feel and can help you make informed decisions about your body, your labour and your birth. It is a fact that antenatal classes and labour, birth and postnatal education is the Cinderella of maternity services – with many new parents choosing between classes provided by the hospital, which due to time constraints and staff availability are at best, a brief overview of what may happen, or choosing to join a local smaller group. By joining a smaller group you’ll make friends for life, get the right education and be in the right learning environment and, hopefully, go into your birth and labour in a positive mind frame.